I eat Marmite on toast almost every day – the yeasty, vegetable extract concoction that has been around since 1902, similar to Vegemite in Australia. 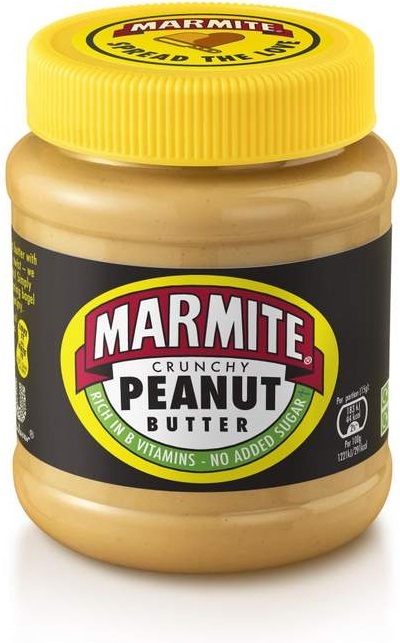 Now I see Marmite peanut butter has hit the supermarket shelves in the UK. Some call this move by Marmite ‘more divisive than Brexit’. 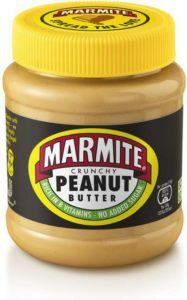 = ❤❤ Marmite Peanut Butter ! I will have to get my grubby hands on a jar, ‘spread the love’ on my toast (as it says on the cap), and find out!